A U.S. patent is pending on a “picker” device Cranemasters Inc. developed to more efficiently re-rail tank cars that derail. On May 1, 25 grain-carrying cars on a BNSF Railway Co. train derailed along U.S. Highway 95 near Athol, Idaho. A derailment can have repercussions beyond the impacted railroad. The most common type of train accident in the United States, a derailment potentially can damage roadway or track infrastructure, rolling stock and freight, or harm the environment by causing a hazardous material spill. A major one can cause fatalities or a local evacuation. The good news is the train accident rate per million train miles has dropped 50 percent since 2004 and derailments have declined significantly over the past 10 to 20 years. Reportable derailments fell from 2,175 in 2006 to 1,151 in 2016, according to Federal Railroad Administration (FRA) data. An event chain of a derailment involving crude oil shows the many data points that need to be measured and analyzed. Railroads have made strides in preventing derailments caused by broken rails and hot journals or bearings because they’ve employed better detection methods, such as a phased array ultrasonic system that can help identify rail flaws, says Gary Wolf, a longtime derailment investigation expert who founded Wolf Railway Consulting in 2013. But the bad news is derailments caused by human factors — such as improper braking applications, train handling procedures or switch alignments — have been increasing the past several years, from about 400 in 2011 to nearly 500 in 2016. Those factors now are quickly gaining on track issues as the top cause of derailments, says Wolf, who over the past 46 years has investigated more than 4,000 derailments worldwide and trained more than 5,000 railway professionals on derailment investigation techniques. Of 3,886 FRA-reportable derailments that occurred from 2014 through 2016, 39 percent were caused by track issues while 34 percent were traced to human factors, 12 percent to equipment failures and 2 percent to signal problems. “Human factors have never been the No. 1 cause, and it’s troubling that it’s trending in that direction,” says Wolf. R. J. Corman Railroad Services LLC offers several emergency derailment services, including uprighting freight cars and clearing cars that are severely damaged. Although some derailments are caused by employees who blindly shove a car or improperly align a switch, the number of human factor-caused accidents is rising in part because freight railroads continue to add younger recruits to their workforces, he says. Young employees, who “were brought up on video games,” tend to be more distracted on the job by smartphones, tablets and other personal devices, Wolf believes. So despite prevention efforts that have been paying off for some time, about 1,000 derailments still happen every year in the United States. After one occurs, railroads seek help to quickly restore operations, prevent or control any hazmat spills, repair infrastructure and rolling stock, and investigate and determine the cause. Enter a small universe of contractors and consultants that offer expertise in those areas. Among them is R. J. Corman Railroad Services LLC, which has been providing a variety of services to the rail industry for more than 30 years. 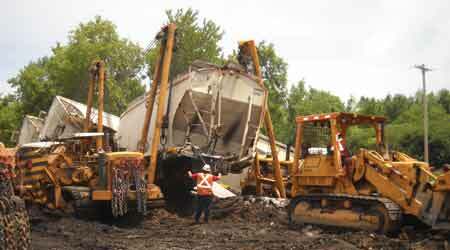 The company responds to derailments that occur east of the Rocky Mountains and in a portion of Canada. R. J. Corman’s emergency derailment services include re-railing and uprighting freight cars, or clearing cars that are damaged too significantly to return to service, and repairing track damaged by an incident. In addition, the company offers post-derailment commodity cleanup services and can perform load transfers and adjustments, traction-motor and wheel change outs, track panel and turnout installations, and an array of maintenance-of-way work. “We [aim to] distinguish ourselves by not only responding to derailment situations, but also to other emergency situations, such as washouts, flooding and severe winter weather,” said Nick Edelen, R. J. Corman Railroad Services’ vice president of operations, in an email. While traditional derailment cleanup methods still are the most effective, the company focuses on improving its equipment and processes, he said. R. J. Corman operates a 35-acre facility at its headquarters in Nicholasville, Ky., with more than 100 employees who are dedicated to developing better equipment, improving the firm’s technology and “providing a more efficient product,” said Edelen. Since derailments continue to drop, thereby reducing the frequency of necessary emergency services, “we have found ourselves in an ever-changing environment,” he said. For example, it’s been challenging to balance the firm’s resources for both emergency and non-emergency services and still quickly mobilize crews and equipment at derailment locations as railroads desire. 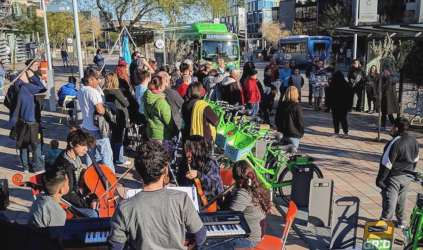 “We have worked, are working and will continue to work with our clients toward re-engineering a mutually beneficial business model,” said Edelen. Cranemasters Inc. also is pursuing a new business model aimed at making the firm more diverse and a niche service provider. The company performs derailment-related car re-railing and track panel work, and provides track maintenance and freight damage prevention services in the eastern U.S.
Part of the model-changing effort involves stretching the company’s service territory to the West, says Chief Executive Officer Brian Isringhausen. Over the past year, Cranemasters has opened an office in Kansas City, Mo., to begin that push, as well as added offices in Norwalk, Ohio, and Lakeland, Fla. The company also expanded its workforce from about 180 to 260 to keep up with demand prompted by the diversity of the equipment fleet, says Isringhausen. Cranemasters uses a variety of equipment to provide emergency derailment services, including custom-built cranes and a specialized “picker” the company developed two years ago to re-rail tank cars. A U.S. patent is pending on the picker device, says Isringhausen. This year, the company is adding two specialized cranes to its fleet instead of the usual one to employ more diverse equipment. 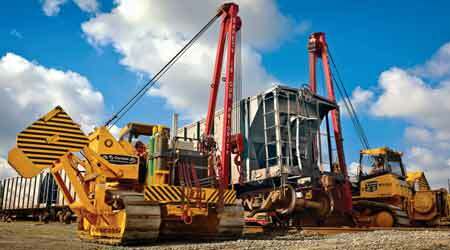 Cranemasters has spent millions of dollars over the years to develop better equipment “for logistics reasons,” says Isringhausen, citing a crane that can operate from one side of tracks so trains can continue to pass a derailment site on an adjacent track. 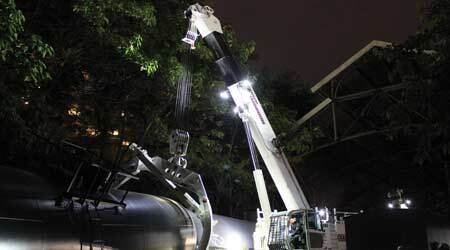 Winter’s Rigging Inc., which provides emergency derailment response services in the U.S. Northeast and Canada, also employs a variety of equipment, including side booms and a large crane with a 30-foot boom that can unload double-stacked containers. The firm can re-rail cars or transport a car to a repair facility, adjust or transfer loads, and perform track panel work. On average, Winter’s Rigging typically responds to a derailment every 10 days and spends 24 to 48 hours at the site, says Rick Winter, who heads sales, marketing and public relations for the company. Although most derailments are minor and occur in yards, some can be caused by seasonal impacts and severe weather, he says. In October 2015, Winter’s Rigging responded to an Amtrak Vermonter derailment in Northfield, Vt., that was caused by a rockslide. “It took a while to haul away all the rocks,” says Winter. When responding to a derailment, the biggest challenge Winter’s Rigging and its competitors face is obtaining accurate information about the incident — such as exactly how many cars derailed — and quickly and safely mobilizing their crews to the site. Ensuring the accuracy of information also is vital to Arcadis, which provides incident response and recovery services for derailments involving chemicals and other hazmats in the United States and Canada. The company, which has 6,300 employees and 140 offices in the two countries, relies on 300 railroad-trained staff members to respond to derailments and decipher information provided by railroads, regulatory agencies, local government bodies and other organizations. On average, Winter’s Rigging Inc. crews spend 24 to 48 hours at a derailment site to provide emergency services, depending on the severity of the accident. “Communication is a challenge because there are so many sources of information — we need to organize and prioritize it,” says Andrew McManus, the program manager for Arcadis’ freight-rail incident response and recovery services. Over that past 12 years, he has responded to more than 100 incidents, including four crude-by-rail accidents. Each year, Arcadis employees and technical specialists typically respond to five to 10 derailments. At an accident site, they analyze consists to determine the possible chemicals involved and any potential interactions, review recovery tactics, and provide health and safety plans, says McManus. Since regulators want a more immediate and holistic report on a derailment’s environmental impacts — such as the amount of chemicals still stored in a car, how much burned away during a fire and how much was spilled in soil — Arcadis responders for the past two years have strived to provide a focused damage assessment “from the get go,” he says. The company also is trying to enhance its services by embracing new technologies in the field, says McManus. 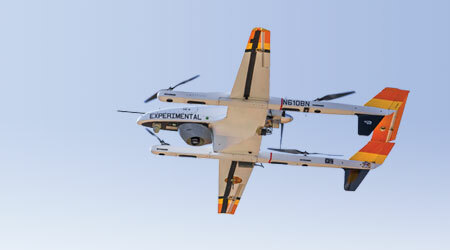 In November 2016, the company began using unmanned aerial vehicles to collect air monitoring data and help develop site maps. “We think cloud-based computing is the next step in leveraging technology,” says McManus. For Amec Foster Wheeler, “sorting through the chaos” also is important to get facts squared away as information-sharing evolves at a derailment site, says Jay Martin, a company principal and vice president. The firm has provided environmental services at derailments for about 15 years and typically responds to six incidents per year, from small ones — such as a locomotive coming off track — to large ones involving dozens of cars. Amec Foster Wheeler responders determine if an accidental hazmat release occurred, provide containment recommendations, and stipulate what’s needed to clean up a spill or comply with federal regulations. Usually, there are six or seven aspects of a response that need to be staffed, says Martin. Similar to its competitors and other contractors that respond to derailments, Amec Foster Wheeler strives to meet railroads’ needs no matter how challenging the incident. And some accidents are much more strenuous to deal with than others. “The most difficult derailment to respond to is one involving a fire or an evacuation, because then the public is involved and the response is more complicated,” says Martin.